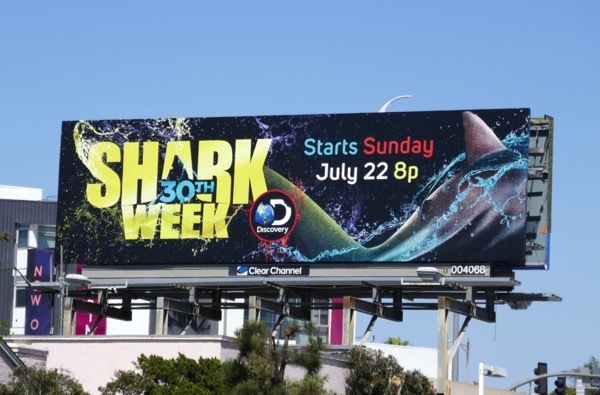 Duunnn dun, duuuunnn duun, duuunnnnn dun dun dun dun dun dun dun, are you you ready for the 30th Shark Week on Discovery? Back in 1975 Steven Spielberg's Jaws really captured cinema goers imagination and the film and theme song became an ever-lasting part of pop culture. 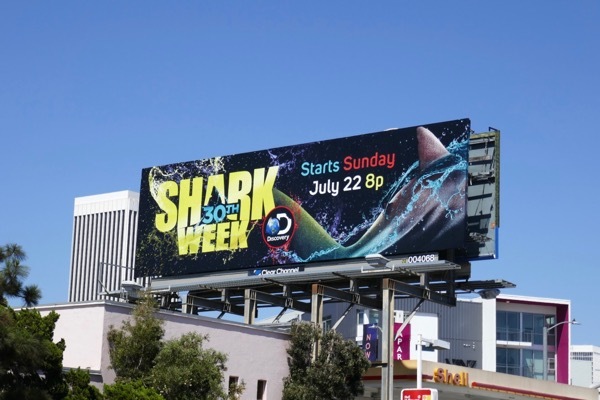 Then in July 1988 the Discovery Channel launched its first ever week-long block of programming dedicated to the predatory finned fish, and today the tradition continues with the start of the annual event's thirtieth anniversary. 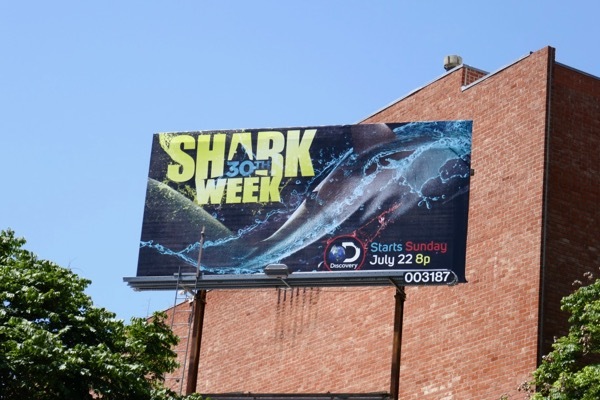 These 30th Shark Week billboards were spotted swimming along Pico Boulevard, Olympic Boulevard and Santa Monica Boulevard from July 4 to July 14, 2018. 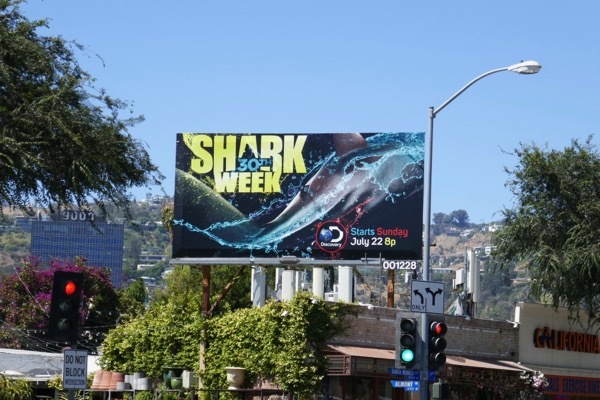 Fans of the toothy sea creatures can also enjoy these movie billboards for The Meg, this giant Shark Night 3D movie billboard, this Aldo Shoes billboard, this Finding Nemo movie billboard and these 47 Meters Down movie billboards. 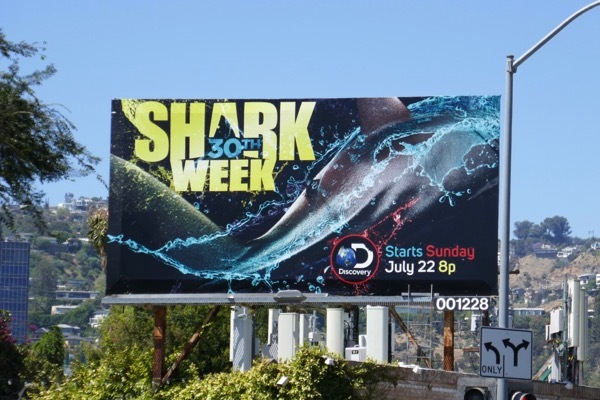 Be sure to take a bite out of these shark shows before the Earth's oceans become too polluted to sustain them.